Fractures are very common injuries that stem from injurious accidents such as car accidents, motorcycle accidents, slip and falls, and many more. 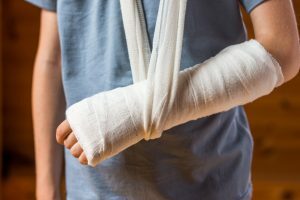 While some broken bones are simple fractures to extremities that require a few weeks in a cast, some fractures are severe and can lead to a long, painful, and expensive recovery process. If you or a loved one has sustained fractures or other serious injuries in an accident, you may be entitled to financial compensation. The personal injury lawyers of Kamensky, Cohen & Riechelson represent clients suffering from all manner of traumatic injuries in Pennsylvania towns like Levittown, Northeast Philadelphia, Feasterville, Millbrook, Penndel, Bensalem, and the greater Bucks County area. We believe in protecting our clients’ legal rights and keeping them informed and involved throughout the personal claims process. Lean on our 45 plus years of experience to seek full and fair compensation for your injuries while you focus on getting back to your usual, healthy self. Call our office today to speak with a member of our legal team in a free and confidential consultation regarding your accident, your injuries, and to discuss your potential personal injury claim. Do I Have a Strong Personal Injury Claim for my Bone Fractures in Bucks County? In order to successfully file and conclude a personal injury claim, our Bucks County attorneys will first need to show that your fractured bones and other injuries were the direct result of the negligent or reckless behavior by another party. Each case in unique, and finding fault in your accident is heavily dependent upon the circumstance surrounding your injurious accident. For example, bone fractures are often the result of motorcycle accidents. This is partially due to the fact that motorcycles do not stand up naturally, and over the course of an accident will often fall on top of the rider, causing further injury. If we are able to show that your motorcycle accident was caused by a negligent driver, you may have a strong personal injury claim. This can include finding that other motorists were drunk, distracted, speeding, driving recklessly, or many other causes. Another common example of accidents leading to broken bones are slip and fall accidents. Falls are often due to hazardous conditions on a commercial or private property. Property owners are responsible for maintaining safe and secure conditions for any guests, failure to do so may be considered negligence under premises liability statutes. This can range from the classic slippery floor all the way to insufficient security or inadequate lighting. Bone fractures and breaks can lead to major life changes, incurred expenses, and both physical and emotional pain and suffering. Do not leave your family’s financial future to fate when you can secure the legal counsel of an experienced personal injury firm. At Kamensky, Cohen & Riechelson, our personal injury attorneys have been recovering full and fair compensation for clients since 1972. Lean on the experience and knowledge we have built through successfully resolving personal injury claims for Pennsylvania clients across towns like Levittown, Northeast Philadelphia, Millbrook, Bensalem, Penndel, Feasterville, and all of Bucks County. Contact us online or through our Bensalem offices by calling (215) 337-4915 today for a free and confidential consultation with a member of our legal team. We will be standing by to discuss your personal injury claim to potentially recover damages for your broken and/or fractured bones.